This works, one thing to check is hearing for the air intake sucking in or just putting thumb over it hear the air rush in. Make sure you install it right. Within hours of installing this I had noticeably higher PH, within a day it was averaging 8.1 (up from a 7.7 average). Sadly this only lasted a little over a week. I do understand every situation is different, but I was hoping to get longer than a week's worth of benefit from this product. Especially when they claim it should last on my 75 gallon tank for 6-8 weeks. In the end I would recommend this product. It did what it was supposed to do and did it well, though it may be better suited for tanks with smaller skimmers. i was skeptical of this product from the reviews but when i'd tried everything else and still had that plunging PH during lights off below 7.6, i gave this a shot. the first night (5-6 hours after installation) i noticed .2 increase to my PH (apex, recalibrated before use of this product). I'm now proud to admit i get up to 8.25 during the day and an average of 8.06 with a lowest reading of 7.99. ALSO!!! 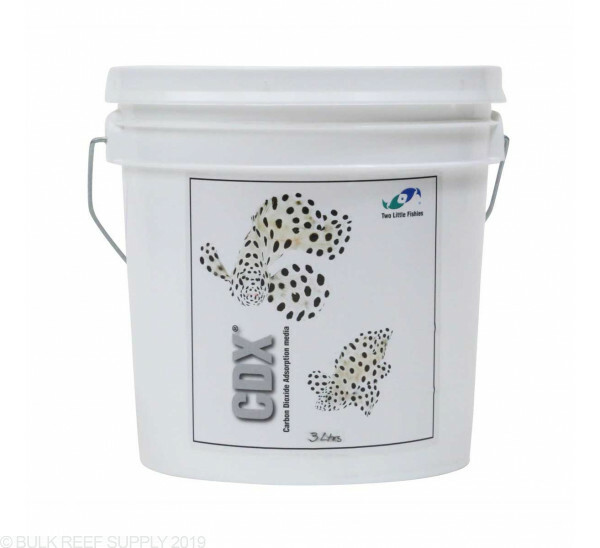 the 750ml size fills a 10" canister PERFECTLY! So I've been using this for a few weeks now. At first it wasn't working at all. Didn't change anything. Then I got a new skimmer that pulls a LOT more air through this media and suddenly my pH is going up. I installed it several nights ago, long after the lights were out but the pH went UP and I hadn't changed anything or added any chemicals or foods of any kind to the tank. This really does work. 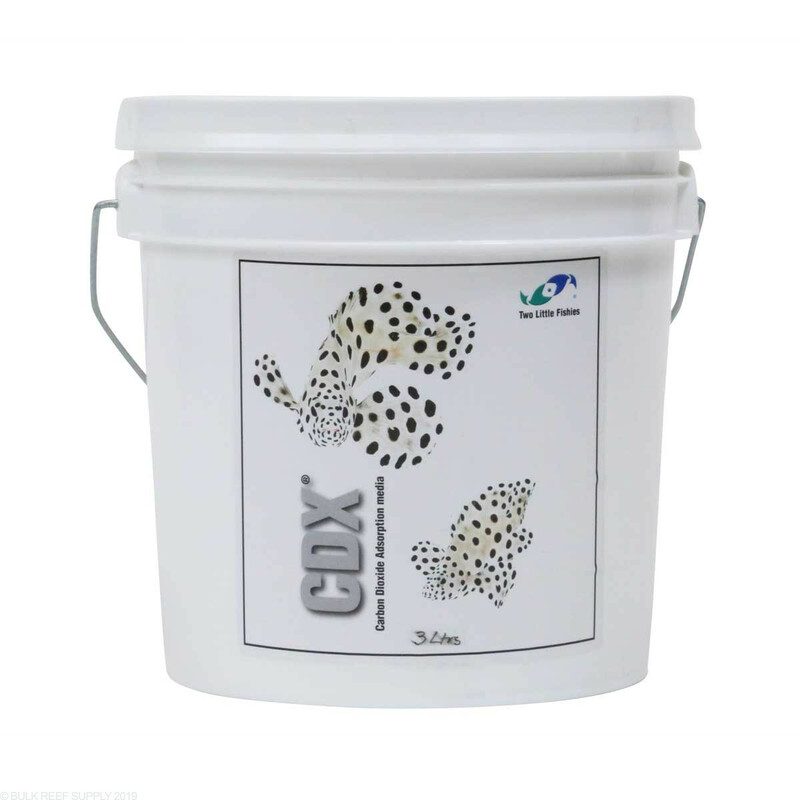 I have been using CDX for a while, especially during the summer when the house is sealed up and the AC is running. We also smoke in the house which adds CO2 to the air which is another thing that I am assuming effects my PH. My PH in the past would be between 7.8-8.1 but since I have been running CDX to my skimmer intake it is now 8.2-8.3. I have smaller variations and everything looks great! Wish I got a little more life out of it and also wish that the color change was a bit more prominent to let you know its exhausted but it does exactly what it says! CO2 Scrubbers work. If the other reviewers didn't think it worked it is because A) C02 wasn't their problem in the first place B) They didn't have it properly hooked up to the air intake on their skimmer or C) They were expecting an immediate 8.3 level PH 30 seconds after hooking it up. I have mine hooked up to a ConeS CO3 Skimmer. I don't have it hooked directly to the air intake on the pump, instead I hooked it to the intake on the silencer. It doesn't make a 100% seal that way which is good because I don't need 100% of the air going into the skimmer to be CO2 free...I figure with a "so so " seal the media will last longer. Before I hooked this up I was going from about 8.0 to about 8.1. That's not a bad improvement for 5 minutes work to hook this up. This winter when I run the gas logs, I may need to hook the intake directly to the pump. I also anticipate burning through the media faster. At this point I have had the media running 12 days and it has yet to turn pink. You can test how much air flow is going through the reactor by simply placing your finger over the intake hole and feeling the pressure of the suction. I will say that the impact is more noticeable in the first 72 to 96 hours when the media is fully charged and I suspect that the impact will be less and less as it nears towards turning pink. If this stuff even lasts 2 or 3 weeks per canister it will be worth it, at least in the winter when the house is shut up. I had been struggling with the pH in my basement nano tank. I used this with the Phosban 150 reactor and adapter and now my pH is consistently high and it is easy to tell when it is time to replace the media. It did not work well initially because regular airline tubing doesn't fit on the adapter well. It was not until I used the wider silicone tubing that came with my protein skimmer and connected it directly that it worked well. it is very bad don't waste your money!!!!!!! !